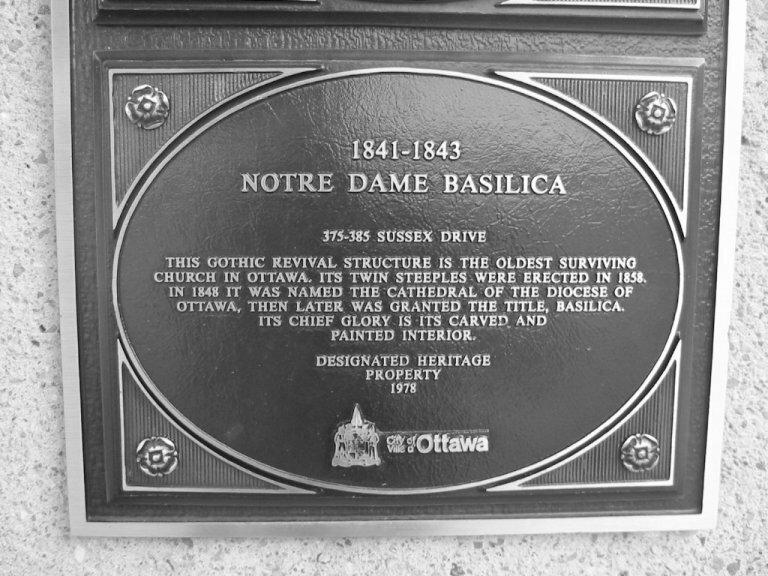 Photo Source: Planted By Flowing Water, The Diocese of Ottawa, 1847-1997, page 13.
in 1846 at the Cathedral. who posted this information to the UOVGEN List. 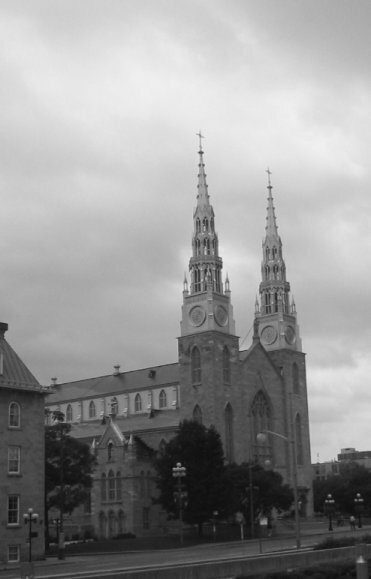 à 18 h 30 à la salle Kiwanis du Centre communautaire Richelieu-Vanier. 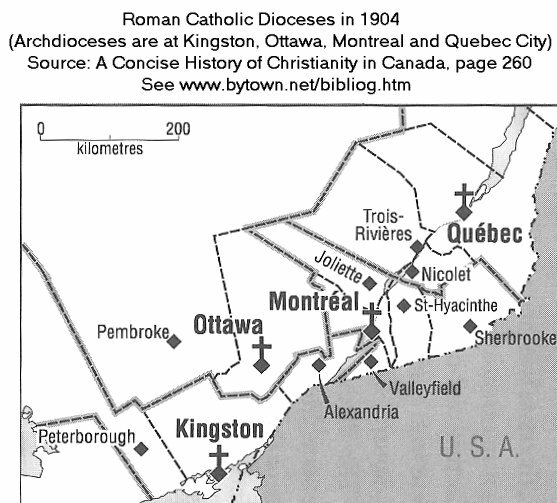 Prière de prendre connaissance du communiqué ci-joint pour de plus amples renseignements. italienne, libanaise, polonaise, pour ne nommer que celles-là. la promotion et la mise en valeur du patrimoine franco-ontarien. in the Kiwanis Hall at the Richelieu-Vanier Community Centre. 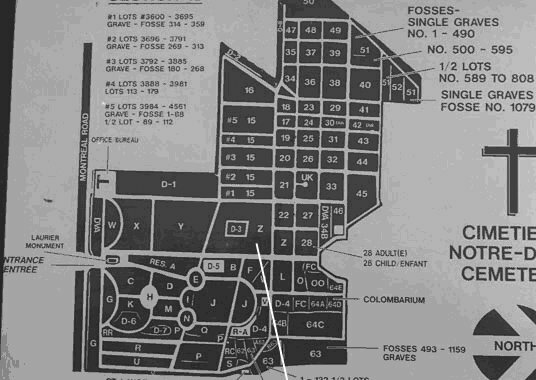 has been working on promoting local heritage for over 25 years. 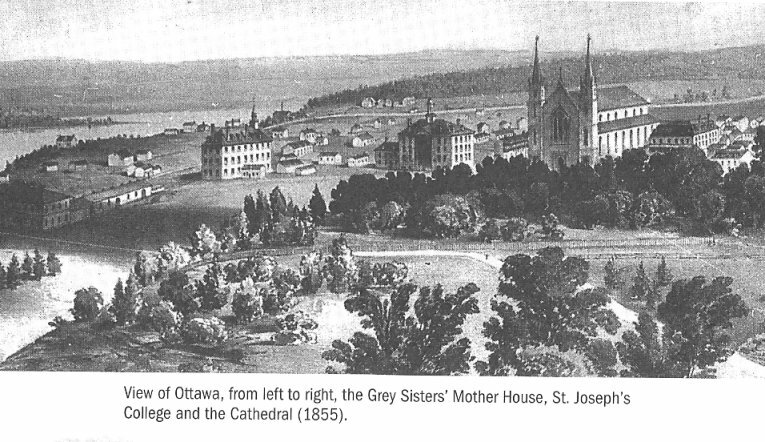 St. Joseph's College, originally on Sussex Drive became the University of Ottawa in Sandy Hill. 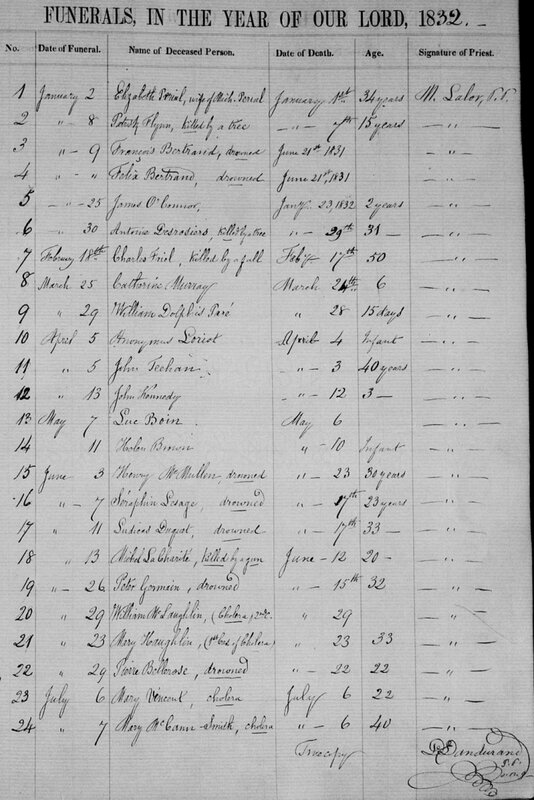 and the first records of deaths from the 1832 cholera epidemic. 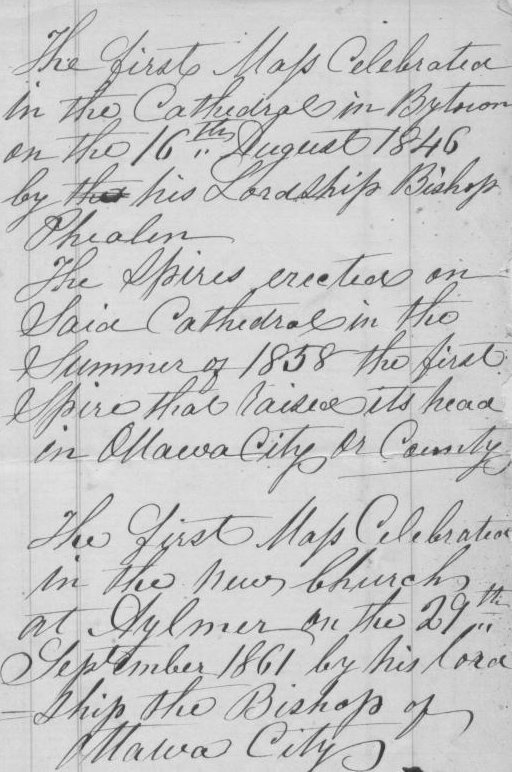 We can search individual Ontario Roman Catholic Church Records at Ontario RC Records. 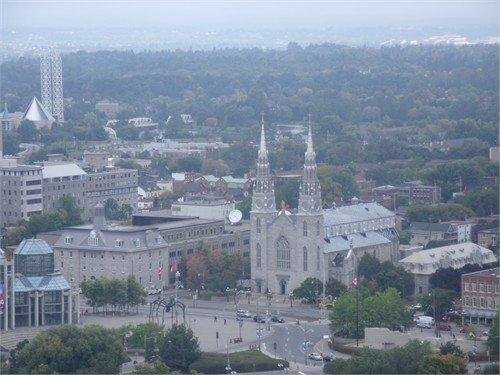 Thanks to Sue from British Columbia for this photograph of Notre Dame as seen from the Peace Tower. spider at the front of the Gallery is "Maman". 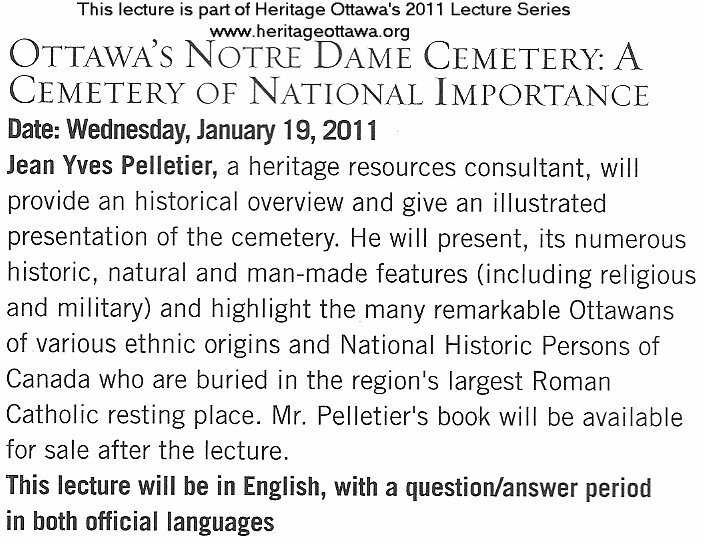 Here is a new link to Notre Dame Cemetery -- contributed by Jean Yves Pelletier.